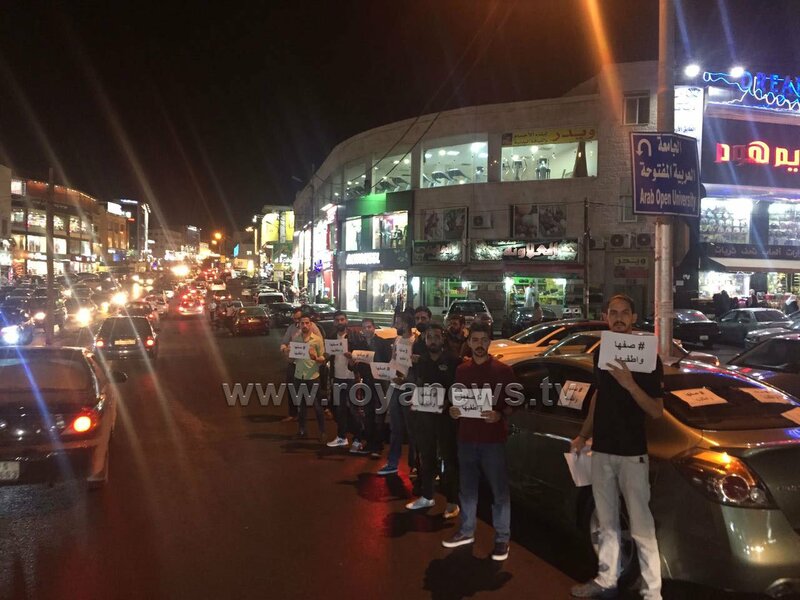 Jordanians took to the streets across the kingdom to protest the government’s decision to increase fuel prices by 5 percent on Thursday, after launching the “Park your car and switch it off” campaign on social media last night. Social media activists urged Jordanians not to use their cars or fill them up with petrol on Thursday, Friday and Saturday, to pressure the government into decreasing fuel prices. The increase meant that the price of 90-octane petrol went up to JD 0.86 per litre, and 95-octane petrol went up to JD 1.10 per litre. Meanwhile, diesel and kerosene prices increased to 645 fils. The price of gas cylinders remained unchanged. 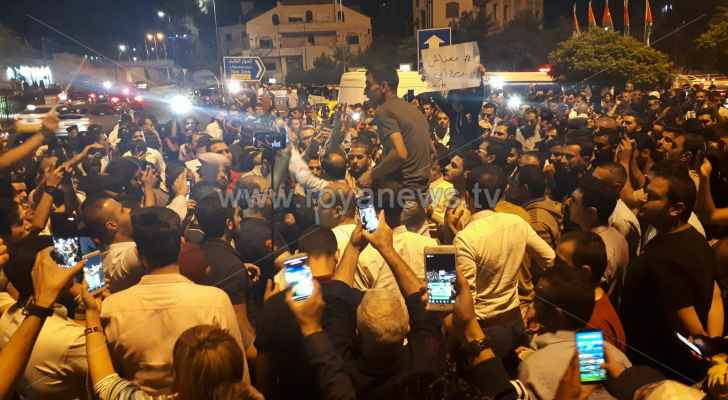 Hundreds of Jordanian citizens protested outside the Prime Ministry on the Fourth Circle, after the authorities prevented drivers from parking their cars and leaving them switched off outside the governmental building. 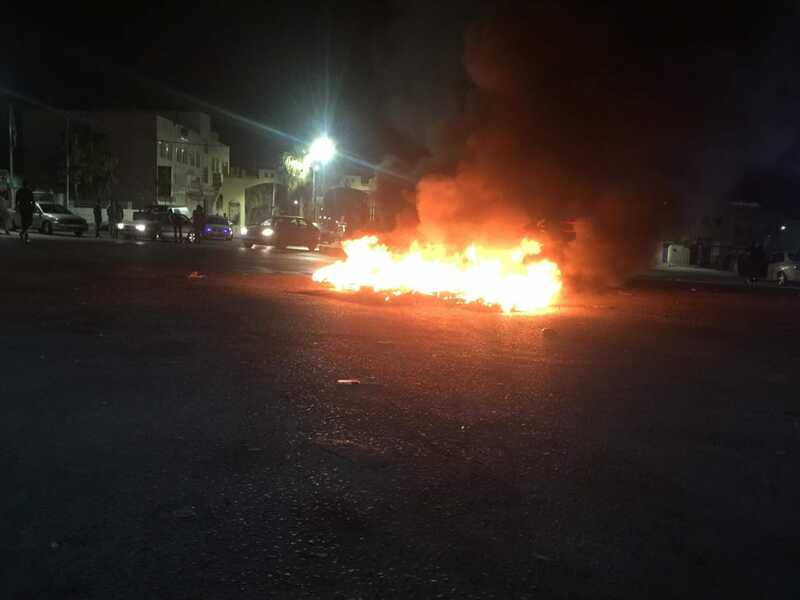 In Irbid, dozens of people in Al Tayyibah town closed the main entrance to their town with burning tyres, demanding that the government rescinds its directive. 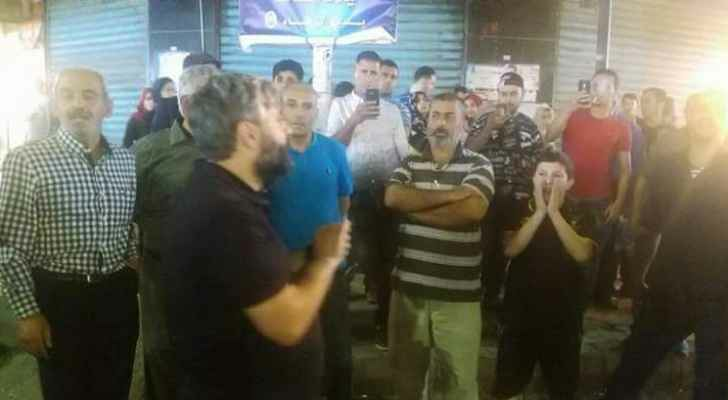 The residents of Al-Kourah district in Irbid also protested the government’s decision to increase fuel prices by burning tyres by Al Ghozlan Circle. Meanwhile in Al Hashimiyah in Zarqa, protesters closed off the main road leading to Bala’ma in Mafraq with burning tyres. 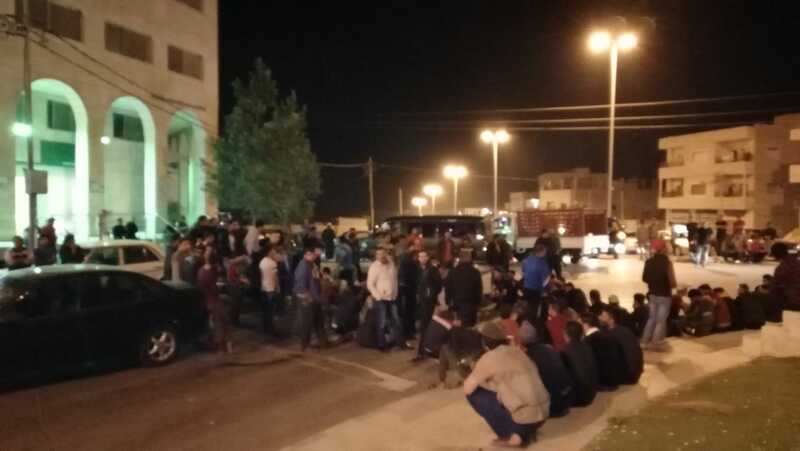 Also in Zarqa, many of the city’s residents staged a sit in outside a shopping area in Al-Saadeh St. In Tafilah, a large group of Jordanians parked their vehicles on the side of the road and prevented traffic from passing through the Al Ayes Circle. Large-scale protests are expected to kick off across the country after today’s Friday prayers.